The quadcopter has been on the wish list of the passionate photographer – novice or expert – since the moment of its invention. The earliest attempts to build such a copter date back to 1907 when, for the first time, a rotary wing aircraft could lift itself off the ground. Thereafter, there are several interesting stories of quadcopter trials. 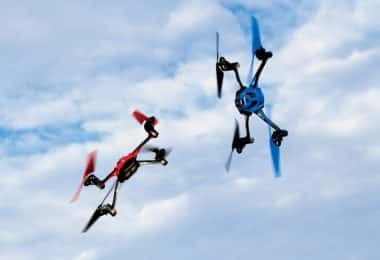 Currently, a quadcopter or an unmanned helicopter is very much in vogue and is one of the most prized possessions for both children and adults. In its simplest form, it is just a device propelled by four rotors but the main idea behind the entire model, was to create a UAV (or drone) that is similar in flight pattern and shape with a helicopter. 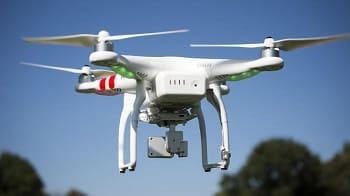 Actually, the name – quadcopter – indicates that the device has four arms (used as support for the rotors and propellers) and looks like a helicopter when in flight. The entire device can be controlled from the ground, using either specialized radio or WiFi controllers or simple, smart devices like smartphones or tablets. Quadcopters are also called multirotors, but this is a larger category, as there can be different types like: tricopters, quadcopters, pentacopters, hexacopters, octocopters and more. Each is named after the number of arms, rotors and propellers it supports. However, today, let us restrict ourselves to quadcopters. Quadcopters are a true work of art as each of the four motors spins in an opposite direction to that of its neighbor. Thus, we get two motors spinning in a clockwise direction and two others, in an anti-clockwise direction. This ensures that the device won’t spin out of control during flight and will hover smoothly when it doesn’t receive commands. quads where there is no facility for a camera – these are usually too small to be able to carry a camera and are generally used as toys for children or beginners. A quad is essential and useful for people working at dangerous heights, like a construction site. 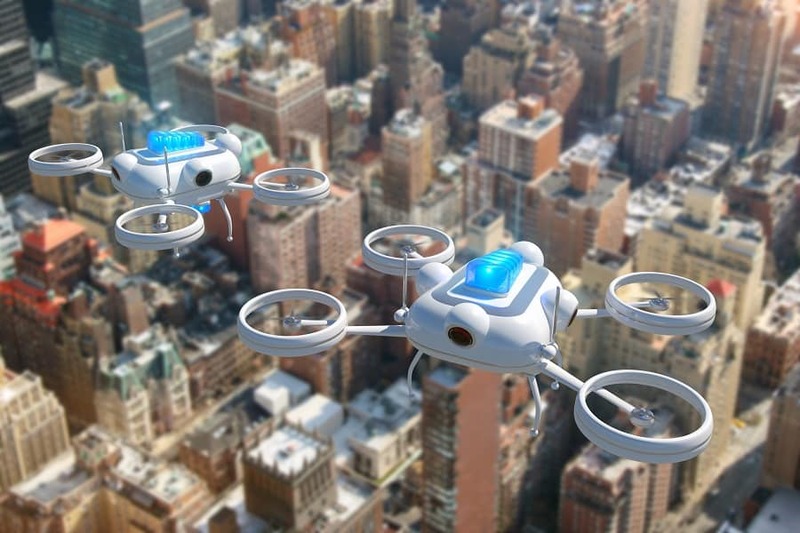 The best quadcopters could also be used for bomb search as defense surveillance, and for rescue operations. 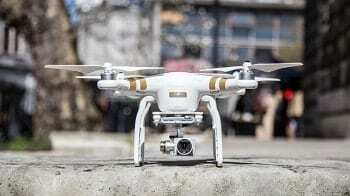 It is also known that quadcopters aid in filming processes these days – a British documentary called “Postcards” from Pripyat, was filmed entirely by a camera quadcopter. 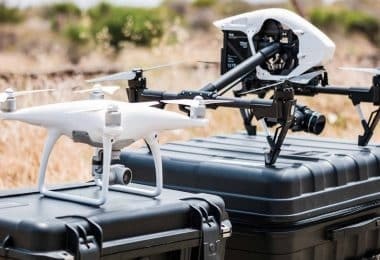 Even more, it has been known recently that a popular online shopping portal plans to arrange a delivery system with the help of light drones for delivering goods on short distances. This will eliminate traffic jams and delays in delivery. Now, that we are acquainted with what a quadcopter can do, let us discover the top best quadcopters in the market. We reviewed some of the best products and we selected models for every pocket and preference. So, if you’re currently looking, take a look below and let us know which one caught your attention and why. Description: The Q500+ from Yuneec is considered a big drone, but this doesn’t hinder the maneuverability. It is actually recommended for beginners who really want to take amazing photos and videos. Even more, the long flight capability make it ideal for a fantastic experience. One feature that is worth mentioning is the fact that this drone is delivered with 2 batteries. This way, you won’t be forced to interrupt your flying experience; you just switch the batteries. While one of them is charging, you can use the other one to take great pictures. Now, speaking of pictures, the camera on the Yuneec Q500 is quite a piece of work! With a high pixel count and the three-axis gimbal, any user can now take sharp, gorgeous photos and videos – no blurry images, no shaky videos. The Q500 is designed to service both beginners and advanced and as proof of that, there are 2 main modes: Angle and Smart (this one is for beginners). There is also a Home mode where the drone will return to the base at the press of a button. This is useful in case you’ve lost sight of the drone, or it wandered too far from the transmitter. The controller seems a bit bulky and you will need two hands to control it. However, the controls are easily accessible and you get to see a live feed from your copter on the screen placed at the bottom of the controller. You can also connect with an Android device for live feed but you’ll need an app for this. For a better insight into all the features this model offers, we suggest checking out our Yuneec Q500 Typhoon in-depth review. Description: The DJI Inspire 1 Pro is definitely a drone designed for professional activities. Of course, if you can afford it as a hobby, there is no restriction there. 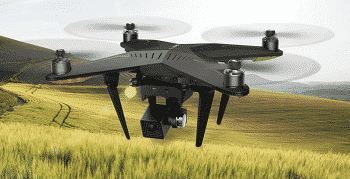 The main feature that makes this drone a pro is the camera –the Zenmuse X5 with the Micro Four Thirds sensor is a cinematic 4K camera which is attached to the drone using a 3-axis gimbal. This ensures stability and image accuracy beyond anything you can imagine. Another feature that makes the Inspire 1 Pro so amazing is the dynamic body. The drone is equipped with carbon fiber arms which can be moved while the drone is in the air. This offers the camera a full 360° unobstructed field of view allowing the user to take shots and videos regardless of the flight direction. The controller is quite simple which makes the drone easy to maneuver. There is also a mobile device holder where you can attach your phone or tablet and access the live stream transmitted by the drone. You can also fly it with a friend, but you will need two controllers which will work in a Master-slave relation. Thus, the master controller will be in charge of flying, while the slave one will control the camera movements. 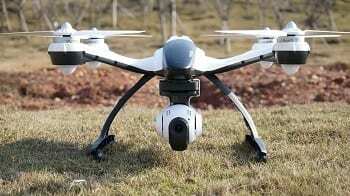 Description: While it is not a toy drone, the Phantom 2 Vision+ from DJI is also not a professional drone. If we consider the features and the price range, we can situate it somewhere in the middle. The drone can be used by beginners and professionals as it is quite easy to maneuver and the camera offers high-quality. In terms of brains, the drone is smarter than many drones in the same price range and it comes with several impressive features. One of them is hovering in place when you release all controls due to the integrated GPS and compass. This is extremely useful for beginners who are still learning their way around piloting a drone. Now, due to the GPS system, the drone can return to the base at the press of a button and you can create an automatic path with waypoints for the device to follow. Even more, the drone offers an FPV link which can be accessed if you hook your phone to the controller. If you are interested in finding out more about this model, you can also read our DJI Phantom 2 Vision+ in-depth review. Description: You don’t need more than a glance and you understand that this is a special kind of crazy in the world of drones. First of all, the XIRO Xplorer V implements a unique and gorgeous design. XIRO calls it industrial, we like to call it futuristic and Sci-Fi. The all black design is only broken by the signaling lights and the Xiro logo painted on the top side of the body. Even more, the design is modular which allows users to make customizations without going through hoops. The camera offers great video quality and the 3-axis gimbal is a fantastic image stabilizer even when the drone goes through turbulences. The same gimbal can be used to attach a different camera if you are not happy with the included one. Also, the landing gear is adjustable to protect the camera in case of a forced landing and the body is sturdy enough to take some abuse. The features that stand out are the ‘Follow Me’ and ‘Circle around’ – these are great for situations when you want to be the main character in your videos and there’s no one else around to guide the drone. Moving on, there is an FPV link that can be accessed via a mobile device so you can see what the drone sees. For those who wish to get more familiar with this amazing drone, we suggest checking out our Xiro Xplorer review. 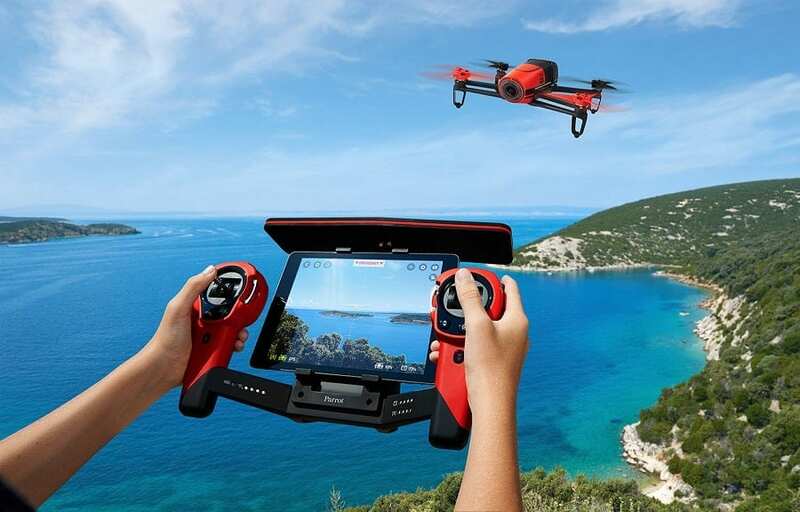 Description: The Parrot AR.Drone 2.0 Power Edition is an improved version of the initial AR.Drone 2.0 but it is still an entry-level drone destined to be used as a hobby. The drone is quite small and lightweight, but it is equipped with propeller guards to protect it in case of a crash. The guards are extremely useful for indoor flying when the drone may hit any walls or other objects. The power edition features an all-black sleek body but it is also equipped with 4 sets of propellers in different colors. This opens the possibility for customization and offers quick solutions in case propellers get damaged during flight. But one of the most important changes is the battery. The drone is delivered with two batteries which offer a total of 36 minutes of flight time (18 minutes each). This is quite a jump if we consider the previous edition. The Parrot AR.Drone 2.0 is quite stable and can hover in place when you don’t need it to move forward or perform stunts (it does a great barrel roll). Even more, you don’t need a fancy controller to make it fly – just an app and an iOS or Android device. The app offers all the needed controls and gives you access to a FPV experience. Flight Time: about 25 min. Description: Since this is the third DJI product on our list, it’s extremely clear that they are one of the main market leaders when it comes about drones for personal use. The Phantom 3 Professional 4K can be used as a toy (if you are open to spend that much on a hobby) or as a professional drone for videography. While it’s true that there are better equipped drones for professionals out there, the Phantom 3 has some pretty interesting features too. First of all, the 4K camera is absolutely fantastic! The high-resolution recordings are saved on the provided microSD card, and you have access to a live viewing of 720p video due to the Lightbridge digital streaming technology. The 3-axis gimbal provides stability and, through the DJI Pilot app for iOS and Android you will have complete camera control. 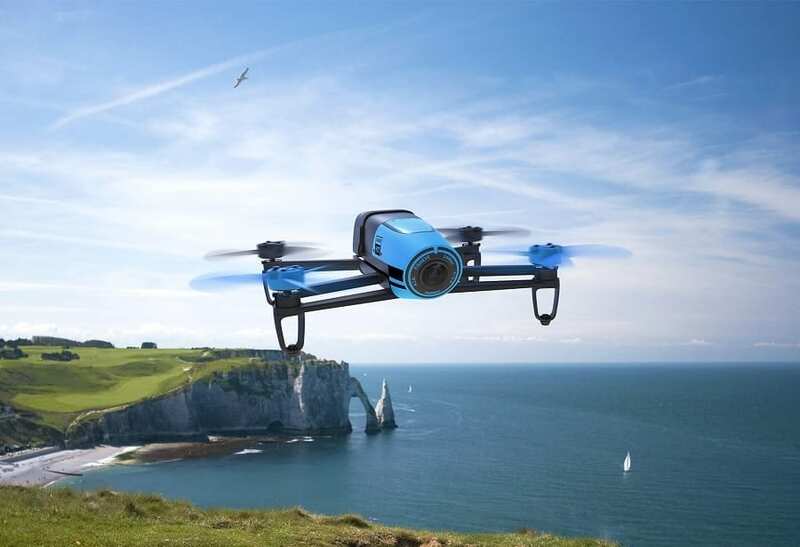 The drone is designed with an impressive GPS system which allows the device to hover in place, follow the user with the ‘Follow Me’ function and return to base while viewing its live movement on the map. All in all, Phantom 3 can be a great first drone if you are looking to develop your aerial videography skills, and to find out much more about this model, as well as the entire series, we suggest checking out our DJI Phantom 3 in-depth review. As you can see from our reviews, purchasing the right model is essential in order to have the best flight experience. The price is not always indicative of the performance and efficiency of the copter, so you must be careful in making your choice. Here are some points you could consider before buying the perfect quadcopter for yourself. Flight time: This is one of the most important considerations to make. Regardless of your use for the drone (hobby or professional), it is always advisable to opt for a device that has a flight time of 10 minutes or more. As you can see from the reviews above, some of the most well-performing models on the market go up to 25 minutes. Charging time: The charging time can vary from one device to another. The longer it takes to charge, the lesser the time you get to use the drone. Typically, a copter would take around 40 minutes to 1 hour to get fully charged so try to choose the one with a lower charging time. Range: Since the quadcopter is a device that you would be controlling remotely, you would need a device that can have a long enough range. Most drones claim to have a range of 100 meters, but it is usually between 50 to 100 meters. However, it should always remain within your line of sight. 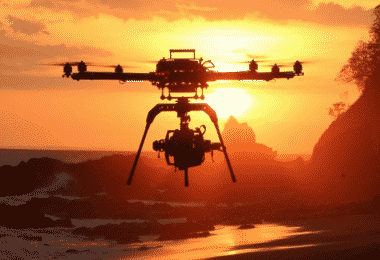 Where to fly the copter: Just buying a drone won’t suffice your requirements. You need to know if the device is suitable for indoor use or outdoor use. If your aim is to perform aerial photography, a drone with outdoor flight options would suit the best. However, if you want to fly it indoors, you have to choose one of those small models which won’t be much affected by the closed spaces. Availability of spare parts: Quads are fragile objects and even the most careful pilot can’t avoid all the collisions. Usually, the propellers are the parts that give first, but they are not the only ones. Some collisions may damage the arms and even the chassis so you must make sure that the supplier can also offer affordable parts. Camera: The presence of a camera or the gimbal can make a difference on the price of the device. However, you should opt for a camera drone only if you want to have a first person view or need to engage in aerial photography. Every quadcopter owner must consider these specs before even getting the drone out of the box. They are important and they apply all over US territory so don’t ignore this part of the article. How High Can I Fly A Drone? Under the United States Airspace, you would be governed by the laws of the FAA. According to the rules, you cannot fly a drone more than 400 feet above the ground level. Also, you need to keep it within your line of sight at all times and cannot operate within five miles of the airport. There is no specific law relating to the distance up to which you could fly your drone. It depends on your device. It is most important to keep it within your sight. Even if you have a camera attached, you will not be able to see everything around the copter. So you must not depend on the drone’s camera and keep it within a reasonable range. Where Should I Not Fly The Drone? It is best to keep your drone away from heavily populated or residential areas. There are two reasons for this. Firstly, this might lead to disturbances in the path of the copter and secondly, it can invade on the privacy in a residential area. So, you should always opt for open spaces. Also, there are a number of public places that the drone shouldn’t be flying in. These include airports, schools, churches, stadiums, power stations, water treatment facilities and the likes. When Should I Not Fly The Drone? It is but natural to be excited about the new drone you have purchased and your instinct tells you to unbox it and get it out for a spin. However, one needs to be reasonable here. It is best to bring it outdoors only when the weather conditions are calm and unperturbed. If this is not so, you would be struggling to control your little device while it goes awry in midair. Because of their fragile nature, some drones would not be able to sustain even light winds and this is why you should be sure of the weather conditions before flying your copter. Do You Want To Use The Drone for Profit? 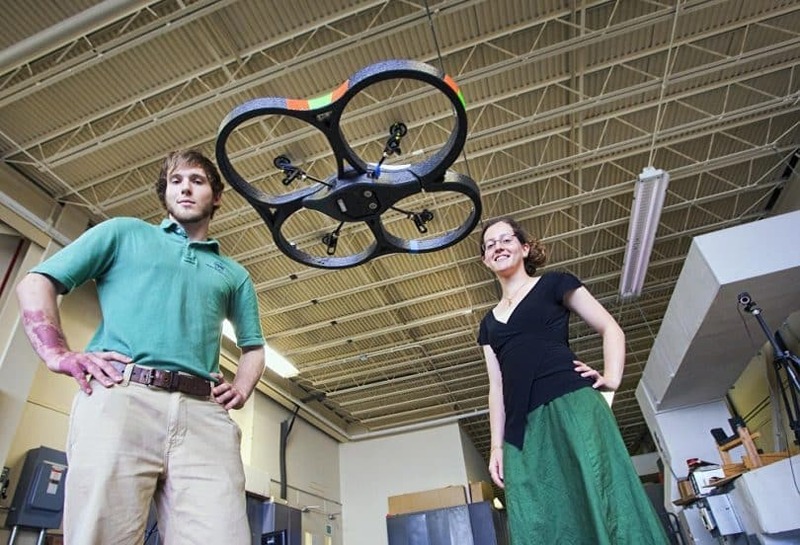 Sometimes, drones can be used for commercial purposes. 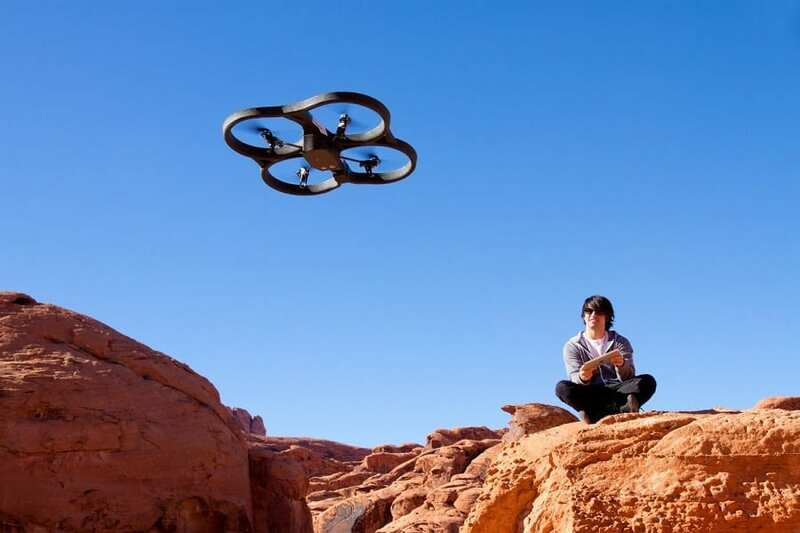 For instance, shooting a movie or an advertisement can be done with the help of a camera quadcopter. In some situations, drones could be used for surveying a potential site for work or even mapping an area. For all these profit making situations, you would need an approval from the FAA. Since all the models we reviewed above come with great features, the best way to take a decision is to know your needs. 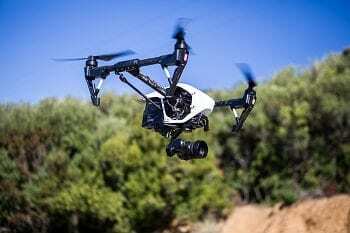 Thus, if you want to launch your videography career, a drone like DJI Phantom 3, DJI Inspire 1 Pro, or Yuneec Q500+ Typhoon will definitely be of great help. They are indeed in the upper price range, but you have to be prepared with a substantial initial investment if you want to product high-quality. On the other hand, if you just want to invest a bit more in your hobby, quads like Xiro Xplorer, Parrot AR.Drone 2.0, or Phantom 2 Vision+ are a better fit. They are equipped with great cameras but they don’t support that many features as the first bunch. Actually, such quads were designed mostly for amateurs who enjoy drone piloting but also want to take some pretty fantastic shots. Such drones can be used for filming yourself while performing stunts, taking breath taking vacation photos and videos, and more. Here are also some pros and cons of having a quadrocopter. New opportunities for aerial photography and movie making. Quads are quite affordable these days. Most quadcopters are instable in windy conditions. Quadcopters are fragile and a few crashes here and there can lead to damaging the device. 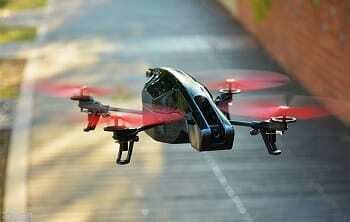 Still not sure about quadcopters and have some queries? Fret no more! We’re here for you. Let us know your queries in comments here. Walkera Ladybird: The Most Stable Micro Quadcopter in The World!